Are 30-year Insured Amortizations Coming Back? The Department of Finance is considering a return to 30-year amortizations on insured mortgages, says the Canadian Homebuilders’ Association (as reported in the Globe and Mail). The last time we had 30-year amortizations on insured mortgages was 2012. This time, however, only first-time buyers might get access to them. Called “extended amortizations,” 30-year payback periods are still available to anyone getting an uninsured mortgage with 20% equity or more. That’s over a 10% payment savings, or $142 a month. Put another way, this savings lets a borrower with 5% down and $50,000 of income afford roughly a 7% more expensive home. Of course, there are always trade-offs in life. If you took the entire amortization to pay back the mortgage, you’d pay over $31,000 more interest in that 30-year amortization. But over the first five-year term you’d pay just $769 more. Keep in mind, however, when you pay back a lender over a long period of time you’re paying with deflated future dollars thanks to the time value of money. In other words, a dollar 25-30 years from now is worth much less than a dollar today, but your income and home value keeps growing. It’s also key to remember that many borrowers make accelerated payments of some kind. 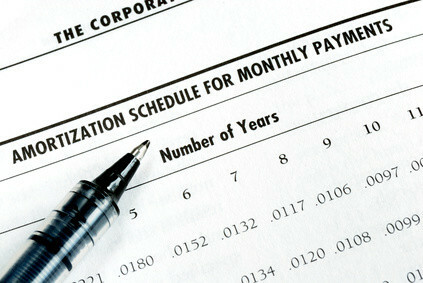 Mortgage Professionals Canada (MPC) says, “…Each year about one-third of mortgage holders take actions that will shorten their amortization periods (making lump sum payments, increasing their regular payment to more than is required, or increasing the frequency of payments).” That reduces the average amortization by at least 5 years or so. As the Globe suggests, any return to 30-year amortizations would be partly politically motivated given that it counters regulator efforts to slow debt build-up. That said, it’s also positive in a different sense. Letting borrowers with low default probability amortize over longer periods gives them more cash to put to better uses, like paying down credit card debt or student loan debt, covering childcare expenses, investing for retirement, and so on. On the other hand, longer amortizations also create more housing demand and can bolster prices. That’s a valid concern, and such a policy is slightly counterproductive—until such time as the government finally creates effective policies to grow supply (in places people actually want to live). Either way, it’s doubtful home values would suddenly spike because of this alone. Canada’s market is far more impacted by other factors, including but not limited to employment, aggregate income and interest rates. So these are the trade-offs. And they are necessary trade-offs, because economies with more credit flexibility generally perform better over the long-run—so long as credit doesn’t get overly loose and so long as the great majority of borrowers remain well qualified. There’s no telling how likely this is to happen, but it’s been a rumour floating around the mortgage industry for weeks. If it did happen, Bill Morneau could announce it as early as the federal budget release this month or next, speculates the Globe story. It’s very odd, however, that the Canadian Homebuilders’ Association would disclose discussions with the Department of Finance ahead of an official announcement. That’s usually frowned upon as it puts policy-makers under the gun. They must believe it’s really going to happen. Either that, or it’s one crazy gambit. Sidebar: Home ownership affords “a very aggressive rate of forced saving,” says Will Dunning in a recent MPC report. “Use of 30-year amortization would [have reduced] the rate of forced saving for 2018 to 14.5% (which would still be very high, and continue to result in rapid accumulation of home equity)…” That compares to 19.7% for borrowers with a 25-year amortization. Do you think they would allow 30-year amortizations on low-ratio insurable mortgages also? I’m guessing yes (but possibly only for first-time buyers). And if they did, most lenders would charge interest rate premiums on low-ratio 30-year amortizations. why does canada not have the same 30yr fixed rate for the entire life of the mortgage as is the case in the USA. this will surely remove the need for a stress test since you will never need to worry about the payment increasing . Hi Garvin, Among other reasons, there’s no easy way to fund 30-year terms in Canada (e.g., there’s no secondary market for them, like there is in the U.S.). Five-year terms are also less risky for lenders who like to match deposit duration to loan duration when possible. And of course, mortgages are open after five years thanks to the Interest Act, which makes longer terms less appealing to lenders. But even if a 30-year term became available, and borrowers were willing to pay the interest rate premium over a 5- and 10-year fixed, it wouldn’t address the government’s other stress test objective (making it harder to qualify and thus building in a debt servicing “buffer” for borrowers who have income loss or unexpected expenses). Would the 30 year amortization include 2nd time buyers? Tough to say Ryan. There’s been no official word of 30-year amortizations, yet. When do you think this knowledge would be released? “Very soon” according to the minister who oversees CMHC. Hello l was wondering if you know of any lenders offering mortgages with an amortization period of greater than 30 years? 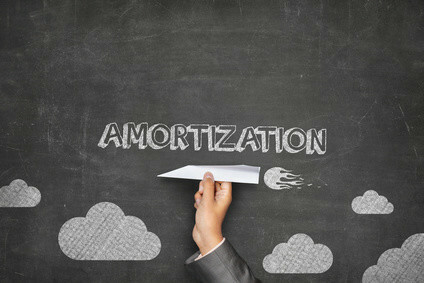 What is the longest amortization period you know of? On the non-prime side I think CMLS, XMC and B2B still have 35 year amortization. You might find a credit union with 35’s as well.